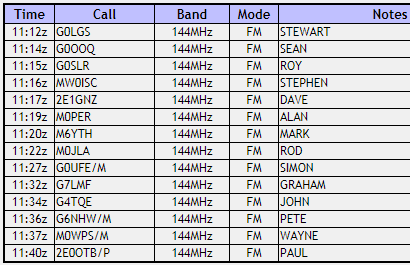 M0PLA/P SOTA Activations: 24th February 2018. Titterstone Clee Hill SOTA Activation visit. 24th February 2018. Titterstone Clee Hill SOTA Activation visit. Grid SO 591779, Altitude 533M. We had left Brown Clee at 10:13 a.m. and arrived at SO 59350 77566 at 10:50 a.m. This was our third activation of Titterstone and the first time we have had visibility of more than 20 yards. We headed up and took a few photos, again the wind was bitter cold, I would guess at -5 to - 10 Degs. It took us 15 minutes to arrive at the summit, this time I had taken my homebrew 2M yagi aswell. We managed to log 14 contacts in a short period of time. 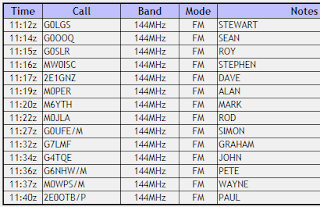 I think the yagi worked really well. The only problem I had was the ground was too hard for my pole spike to go in. I ended up with the 20mm plastic conduit held between my legs, this seamed to work well. Another activation completed and time to pack up and head home. We headed home via Ludlow as this was going to be better roads than we came on. We arrived home at about 12:45 p.m. time to clean the kit and charge the hand held battery back up. Next week no time for activation's but the following week we will be back on air on another summit.